Avondale may not be Arizona’s best known city, but once you get to know it, you will come to love everything you can experience here. Nature lovers will love to explore Estrella Mountain Regional Park and experience the wildlife through hiking and biking on the many trains in and around Avondale. If you like it fast, the Phoenix International Raceway also finds its home in Avondale and hosts two NASCAR races per year. Being located right of Interstate 10, Avondale residents can reach pretty much any point in the greater Phoenix area in no time at all, and also benefit from the employment opportunities in the area as well as the great shopping and dining venues. If you live or work in the Avondale area, you will understand why it is a favorite with tourists and visitors from all over the world. 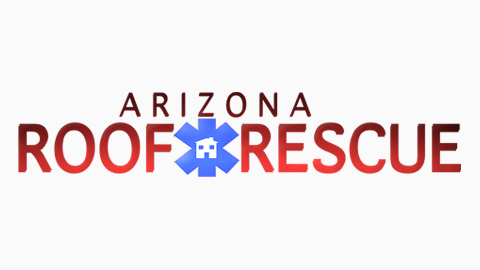 Arizona Roof Rescue is proud to be the roofing contractor of choice for home and business owners in the Avondale area. We have been providing top roofing services for many years and are well familiar with the area and the needs of Avondale roofs. And if you live in an area as hot as Arizona, it is essential that your roofing contractor is in tune with the climate and its effect on the local roofing materials. By hiring an established Avondale roofing contractor, you ensure that your roofer will be around in case you need him after the job is completed. Many new roofing companies fail and close within the first few years and leave you with little to no recourse, should something with their work be amiss. 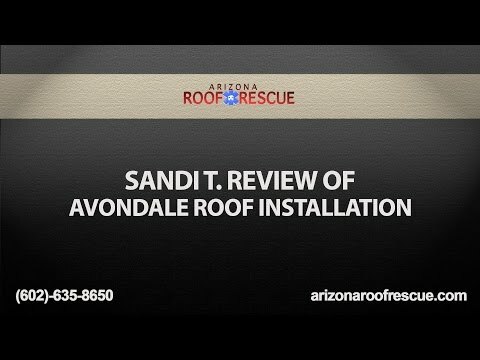 Arizona Roof Rescue has been around for years and we will be available to follow up on any Avondale roof work we complete for years to come. Arizona Roof Rescue is proud to be the roofing contractor of choice for home and business owners in need of tile roofs! Our Avondale tile roofing contractors have years of experience on working on tile roofs all over the Phoenix Valley. If you are dealing with a leak in your tile roof, we will come out to you and assess the health of your roof. We can fix roof leaks and even find you tiles to match your existing ones to ensure that your roof will keep you dry while looking great. Oftentimes, the underlayment fails and has to replaced in which case we can remove the tiles and replace the underlayment to ensure that your Avondale tile roof will last you for many more years. Our tile roofing experience makes us a fantastic choice for your Avondale tile roofing needs. Having a tile roof in Avondale has many benefits. Not only are tile roofs extremely attractive, but they have great insulating properties which is a great plus in the Sonoran desert. Your tile roof can help you to keep the inside of your home and business cooler during the summer months and warmer in the winter, additionally tiles are fireproof and extremely long-lasting. In the event, you are planning on selling your home in the future, a tile roof is a big draw for potential buyers. If you currently don’t have a tile roof, but would like to upgrade, our experienced Avondale tile roofing contractors can determine whether a tile roof works for your home. If your tile roof is leaking, you need an experienced roof repair contractor who can pinpoint the problem and provide a solution that is fast, affordable and long lasting. Roof leaks can wreak havoc on your roof and your home. Wet stains are only the beginning, but moisture can cause mold, fungal growth, deterioration of roof materials and supporting framework, electrical problems and much more. Our Avondale roofing team can fix small leaks, repair bigger ones or perform professional reroofing jobs if needed. We will always tell you our honest opinion on what work should be done to assure the integrity of your roofing system. Arizona Roof Rescue is your trusted roofing contractor for all your Avondale roofing needs. No matter if you are looking for someone to perform commercial roof maintenance checks on your gutters, flashing and other trouble spots, or are in need of an expert tile roofer who can not only fix leaks, but replace tiles with matching ones, we are the one to call. Our reputation is hard earned and we are proud of our great customer reviews and stellar ratings with the BBB and ROC and of course, we are licensed, bonded and insured. Contact us today for all your Avondale roofing needs. Our roofers have extensive experience in working on tile, shingle or flat roofs and performing Avondale roof repair services, including 24/7 emergency repairs. You don’t need to shop around to find the perfect roofer. Simply call us to learn more about our free estimates and comprehensive roofing services. You will be glad you did. 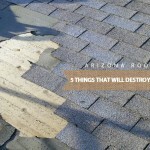 Arizona Roof Rescue-your Avondale roofer. Call 602-242-2706 today!